As young adults, we could eat whatever we wanted and it wouldn’t seem to phase us. However, as the years creep by, we often grow intolerant of certain types of foods, recognizing that they no longer sit well with us. As a result, we learn to avoid them. Although this sometimes has to do with developing allergies, it also has to do with our bodies trying to steer us in the right direction about the kinds of foods we need to stay healthy. As we get older, a healthy diet becomes more important than ever to stay nourished and ensure we’re giving our bodies what they need to thrive. By eating intentionally and providing our body with the vitamins and nutrients it needs to be in good health, we can better avoid sickness. Each day, healthy eating is an investment of time, effort, and money toward our good health. Sometimes it’s a matter of bad luck; sometimes we get sick for no reason. However, a lot of times, we get sick because our bodies aren’t getting the nutrientsthey need to function properly. This is why people often take vitamins to balance out their health in hopes of avoiding illness – but there’s no better source of vitamins than from the foods that produce them naturally. If you have time to garden, growing your own vegetables can help reduce the cost of a healthy diet, and can provide you with a new relaxing hobby that’s good for the body and mind. However, eating can take up a huge portion of our day, especially when cooking three meals a day. In order to eat healthy and efficiently, it’s important to know what foods will benefit our bodies most and what we as individuals may lack so that we can make up for it through our diet. Although there are general guides for the types of foods that will give us the nutrients we need, it’s important to adjust your diet based on your personal body. All of our bodies work differently, and a one-size-fits-all diet doesn’t exist. That being said, a large percentage of Americans eat poorly and don’t get nearly enough of the grains, legumes, vegetables, and fruits that their bodies need. Although people often get their protein and iron from sources like animal meat, eating too much meat and not enough leafy greens and beans can lead to a buildup of cholesterol. This can have long-term health effects on the body by developing blood clots that could lead to a heart attack or stroke. Eating fruits and veggies and cutting back on meat and dairy products can help reduce the amount of low-density lipoproteins in your body, which is good for your heart. If you’re prone to inflammatory issues, such as rheumatoid arthritis, lupus, or heart disease, an anti-inflammatory diet can help reduce the symptoms associated with these health issues. This type of diet includes eating more fresh fruits, vegetables, and nuts, which protect the body against the damage caused by inflammation, while avoiding foods that promote inflammation, such as red meat, sugar and dairy products. By minimizing your intake of foods that are high in saturated and trans fats, and limiting refined carbs like white rice and bread, you can avoid flare-ups. Another very common condition that can be treated through diet is the skin disease rosacea, which causes redness and small, red bumps on the face. A survey of 1,066 rosacea patients found that the most common food and beverage triggers for outbreaks are alcohol, heated beverages, spicy foods, and marinated meats, with a small percentage of people suggesting that some high-citrus fruits and vegetables were also triggers. 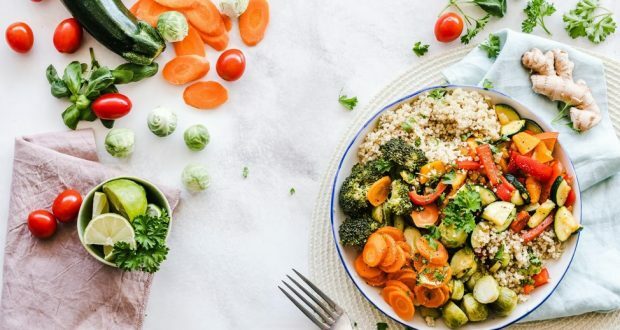 The importance of diet in preventative care has caused many people to turn to naturopathic care – the use of diet, exercise, and alternative medicines – to treat some diseases and illnesses. However, in order to protect your health, it’s important to discuss any changes in your diet or use of medicine with your healthcare provider before taking action. While a new diet can improve your health, ceasing the use of essential medications for chronic conditions, for example, can harm you. As naturopathy helps more people and becomes a more popular practice, some states are creating new legislation regarding naturopathic medical licensing and standards for care. This is helping to regulate the industry and hold those practicing accountable. This is done by establishing basic laws that determine necessary qualifications for these positions, as well as to determine what practices will be prohibited and locally regulated. Healthcare policy is always evolving based on new discoveries, new treatment methods, and new trends for care, which means that legislators must pass new legislation to ensure they lay out a foundation for how to approach issues in these areas when they arise. Watching what we put in our bodies and the sources of our vitamins and nutrients is essential to a healthy lifestyle. Whether we simply try to eat a healthy diet that makes our body and mind feel good or we eat deliberately each day to avoid cholesterol and decrease inflammation, we can do our best to take our health into our own hands through our diet. While we can’t always be in control of what happens to our bodies, we can help prevent many health issues by eating right and listening to the needs of our bodies. Author Bio: Brooke Faulkner is a mother of two and animal lover from Portland, Oregon. The views expressed herein this article, written by a guest contributor, do not necessarily represent those of the Red Hot Mamas organization. The content is for informational purposes and should not substitute the advice of your doctor.